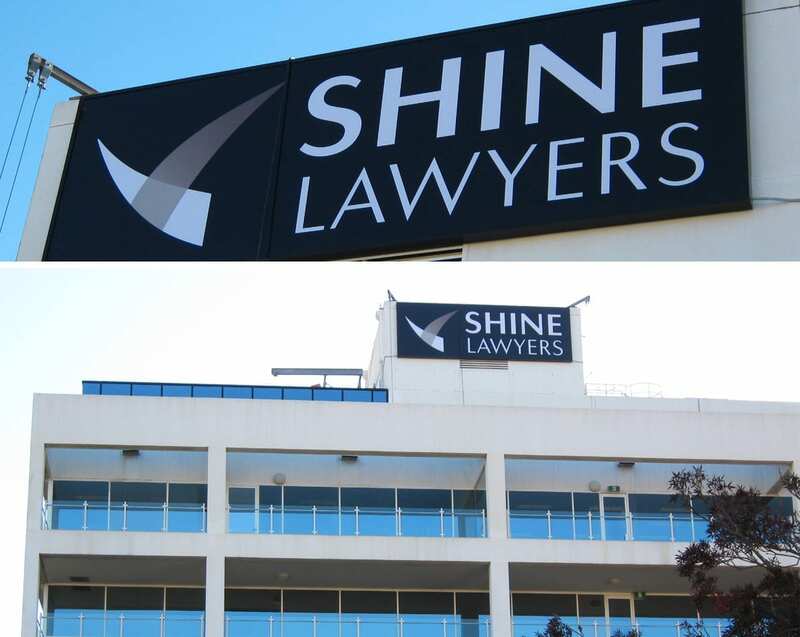 At Surreal Signs we have been working with Shine Lawyers now for over 7 years. The business relationship is based on the experience within our own industry and our un-compromised understanding of their brand and guidelines. 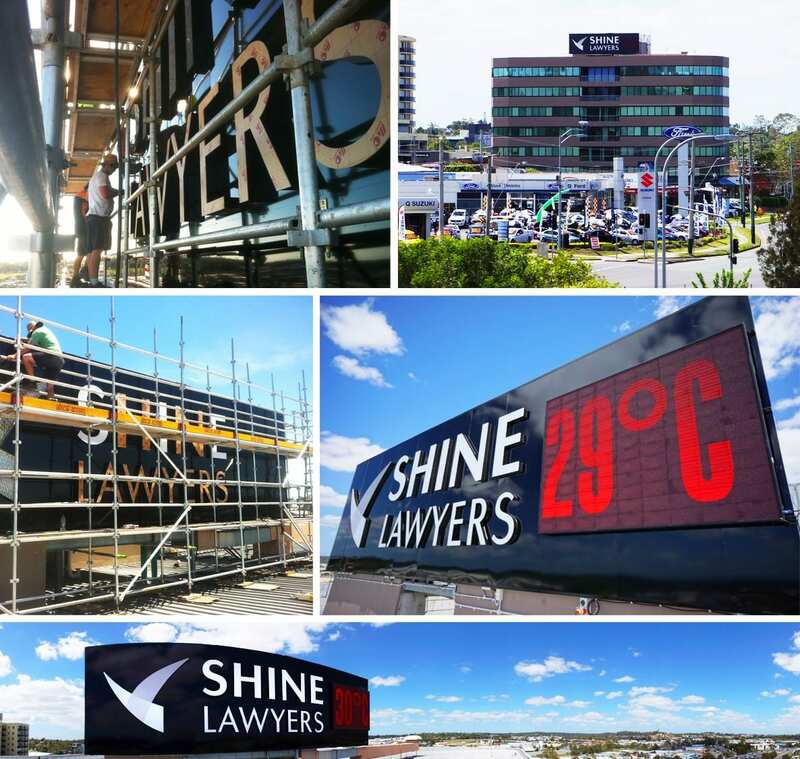 Branding over 40 offices throughout Australia to date, consisting of shop fronts, offices, building signs, extremely large and extensive signage, billboards, promotional advertising and brand awareness campaign graphics. We have supplied and installed a vast range of diverse signage which includes – Lightboxes or 3D fabricated fascia signs, digitally printed window graphics, office frosting, one–way vision, reception signs, canvas prints, retractable banner stands, tear drop flags & custom signage for marketing & various campaigns. 3D fascia signage for Newcastle & Mackay branches. 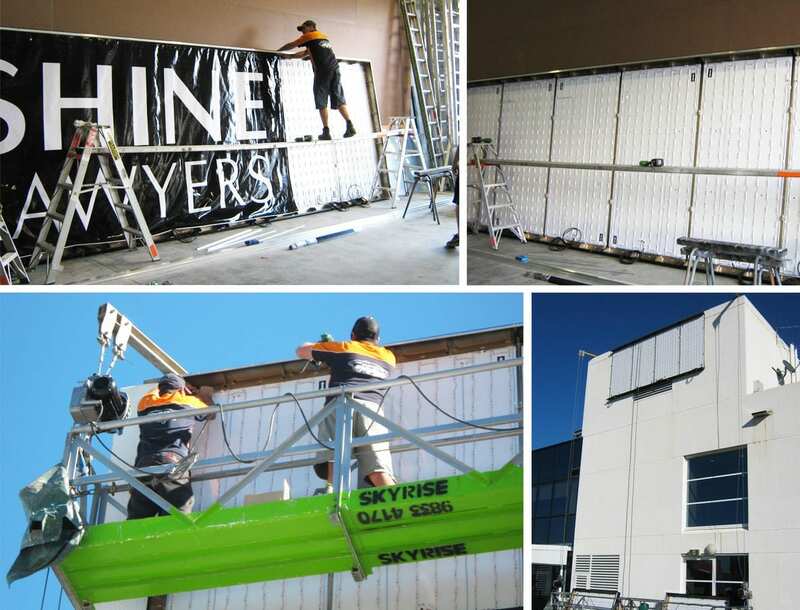 A 2.6m x 17m Illuminated lightbox with digitally printed banners fixed using sail track system at the Robina office in Queensland. 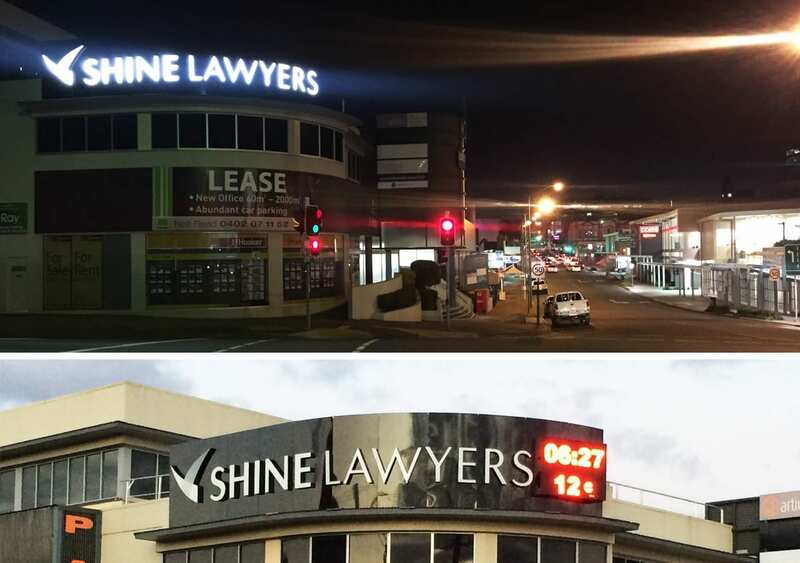 At Makerston Street, Brisbane City we manufactured and installed 2 rooftop signs each 3.5m x 11m, fabricated lettering internally lit with LEDs on black alupanel to our framed backgrounds. 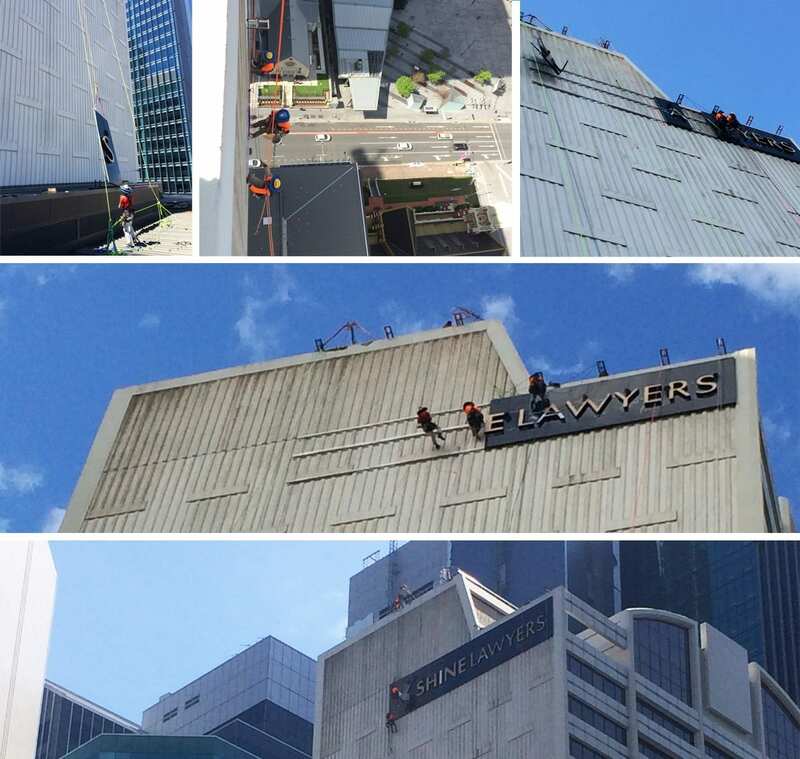 In Springwood, we also as detailed below, manufactured and installed a further 2 rooftop signs at this location, each at 3.6m x 12.6m. Aluminium framework fixed to a concrete structure, cladded with black alupanel, logo and 3d lettering internally lit plus 2 digital LED clocks 2m x 3m. 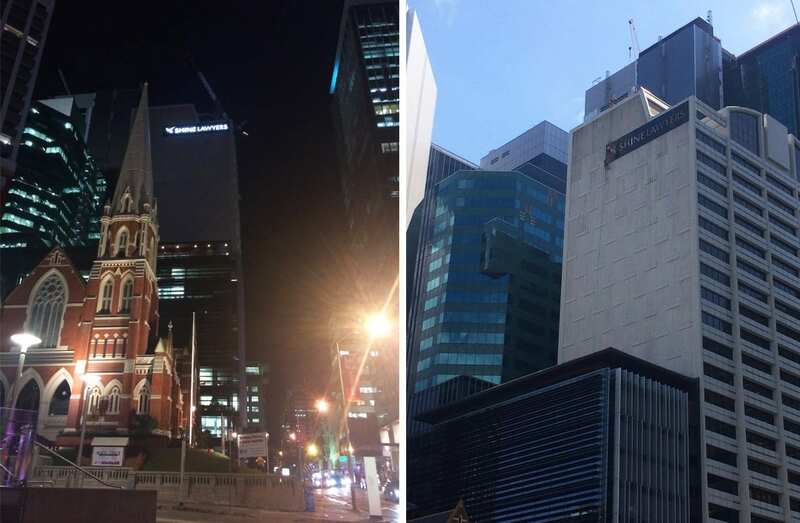 A large lightbox with digitally printed banners at 2.4m x 7.2m in Parramatta was installed using sail track to fix to side of building. 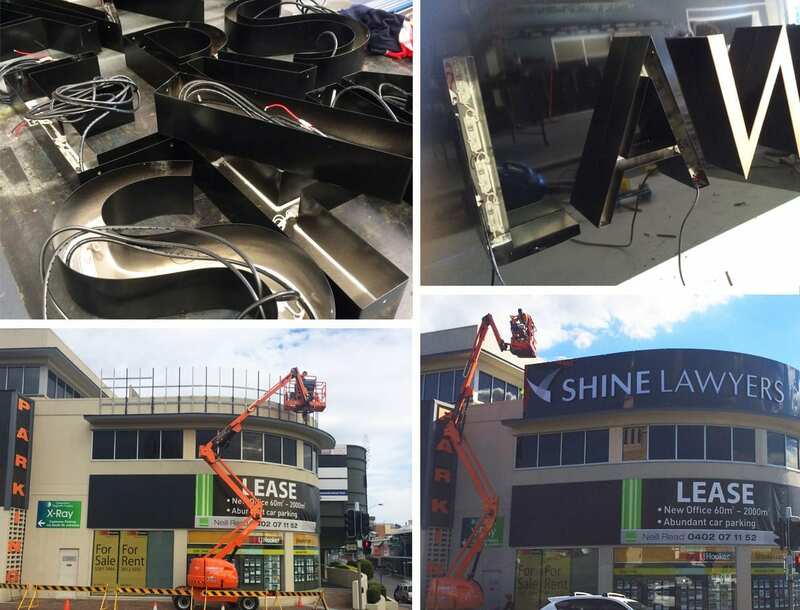 In Ipswich a rooftop sign at 2.4m x 13.5m in 3D stainless steel letters illuminated internally with LEDs fixed to a curved black alupanel background with aluminium framework. This sign too featured a 1.5 x 2m LED Clock. 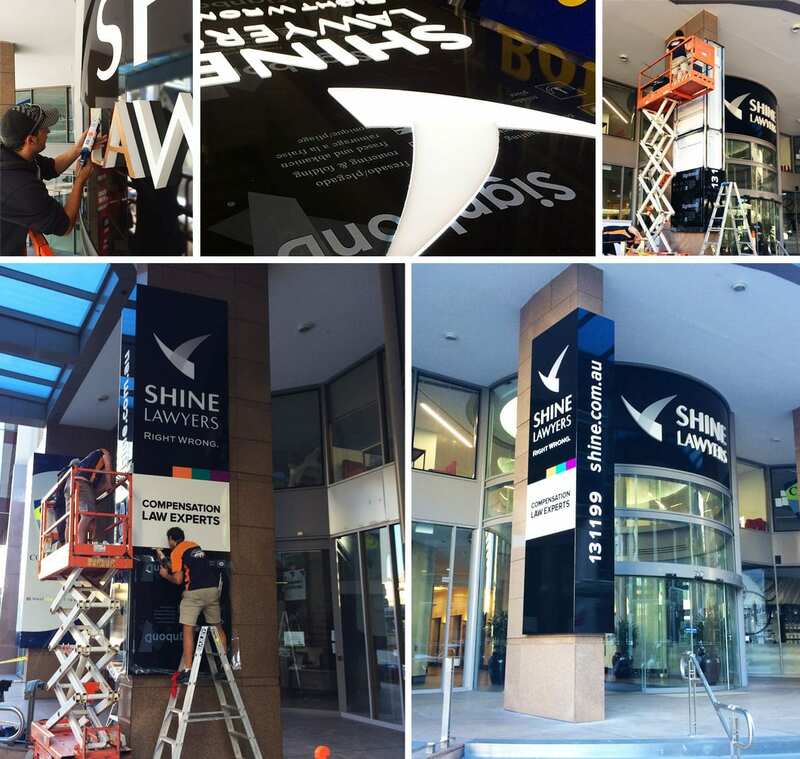 Back in Brisbane on Ann Street we manufactured and designed a double sided 5m high column sign. Constructed from folded black alupanel which was then router cut and included 10mm laser cut acrylic lettering. We then installed the 3 individually illuminated sides to each face of the concrete column at the entrance of the building. Above the column sign at the very top of the building we produced a further sign at 3.4m x 16.5m again with 3D fabricated stainless steel letters internally lit with LEDs, again fixed to aluminium framework cladded with black alupanel on a horizontal rail system fixed to the concrete wall. Overall a really prominent feature entrance along Ann Street and in the City, something we are very proud of here at Surreal Signs. A perfect showcase demonstrating our versatile skill set and attention to detail. As one of Australia’s largest compensation law firms, we’re a hardworking, straight talking team of people who are dedicated to putting things right and achieving outstanding results for our clients no matter how big or small the job might be.